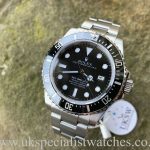 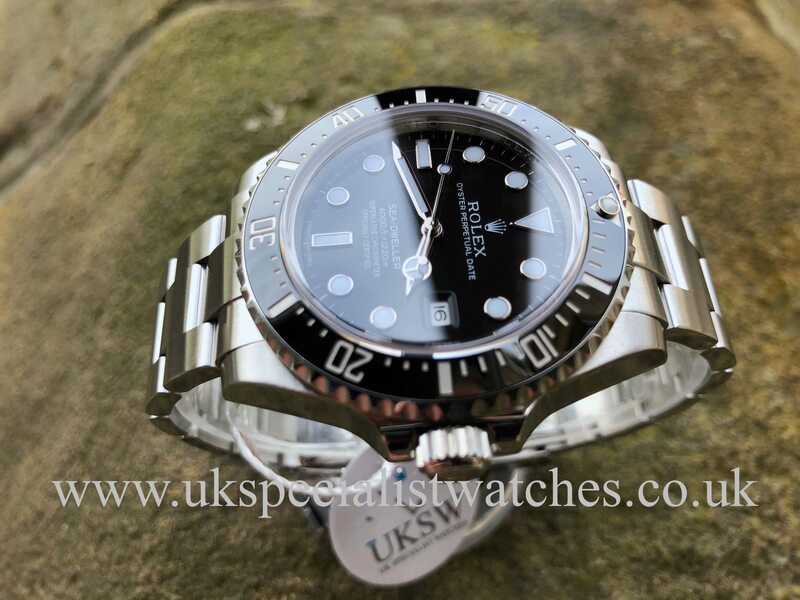 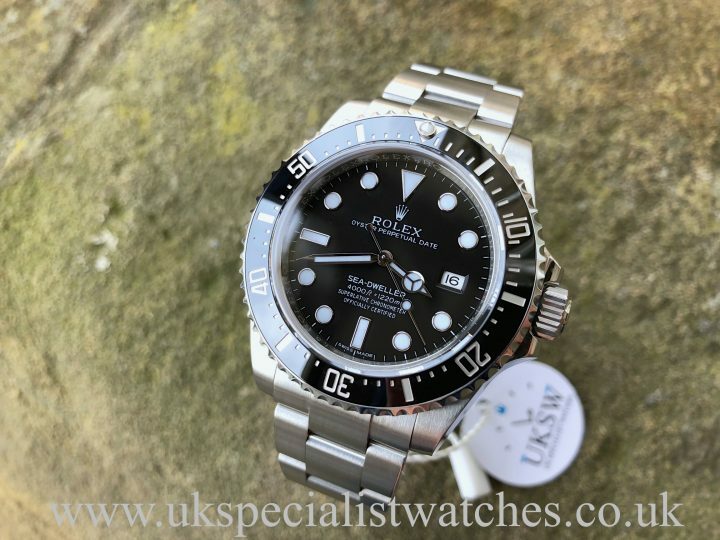 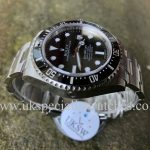 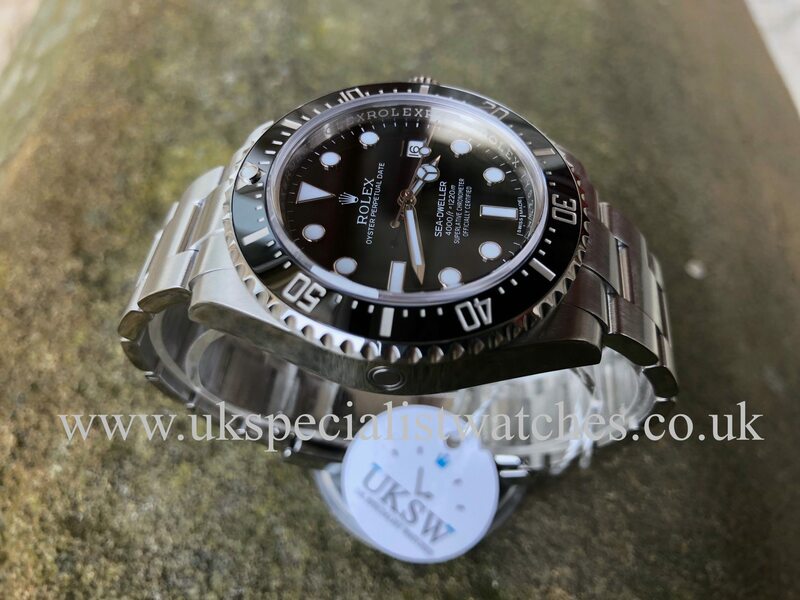 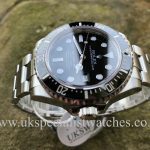 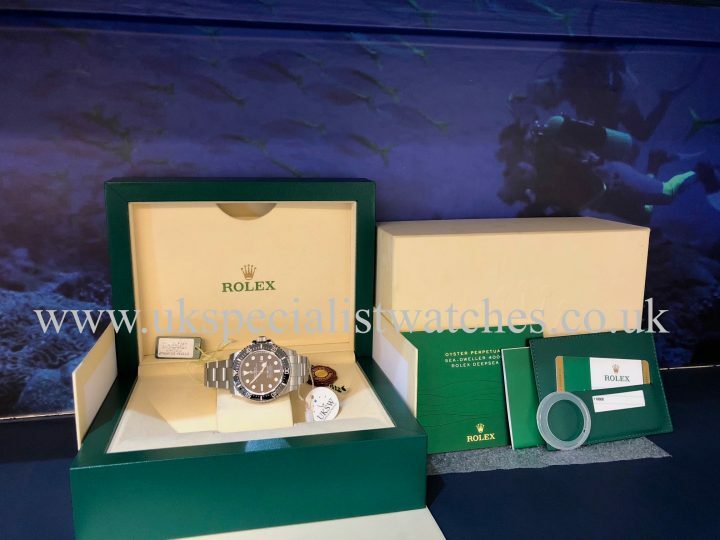 Rolex Sea-Dweller 116600 with a 40mm stainless steel case, Black dial with Chroma-light blue-glow hands and hour markers, scratch proof ceramic bezel and Helium gas escape valve. 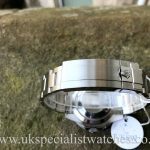 The watch still bears a 40mm case, however it does appear much larger due to the thickness to accommodate deeper diving range. 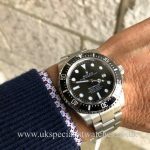 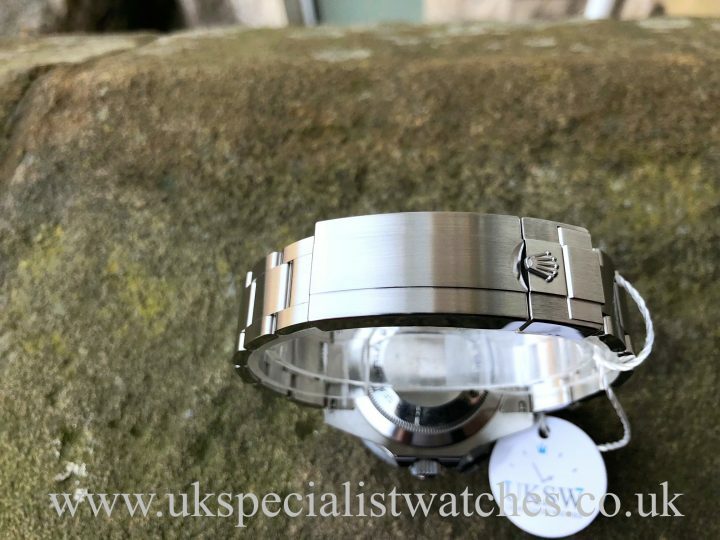 This watch had an extremely short production run after making its first debut at Baselworld 2014 followed by its discontinuation 3 years later making it a very strong investment. 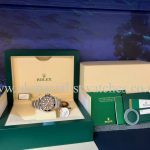 Our totally immaculate example comes complete with all its original Rolex boxes, stamped warranty card, green leather wallet, booklets and both swing tags. 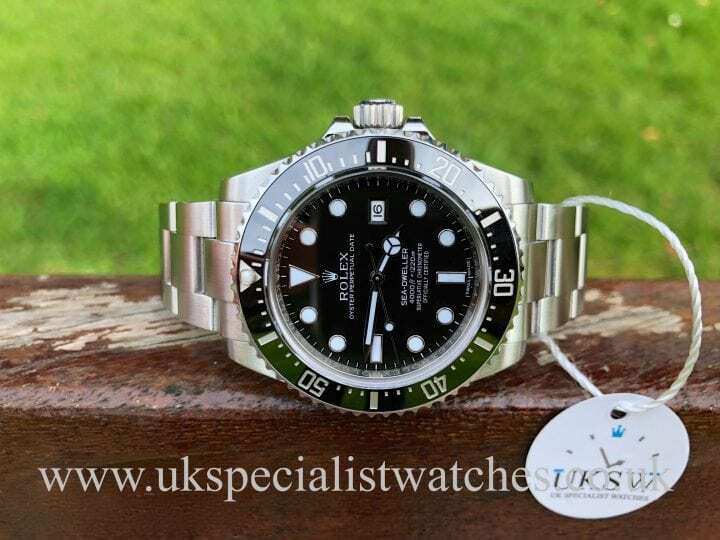 Supplied new June 2015.